A curious stylistic mix that possibly tries to cover too many prog bases, from the bombastic prog of Lift The Memory to the unsettling ambient soundscapes of Starlit Motion, this album sounds like a fleeting meeting of highly individual musical minds rather than a group. Mind you there is still some good music to be had on I, the aforementioned Starlit Motion being but one highlight. The album opens with the tribal mantra The Ending Of The Open Sky that combines a shamanic Arabic vibe with ominous mellotron atmospherics. 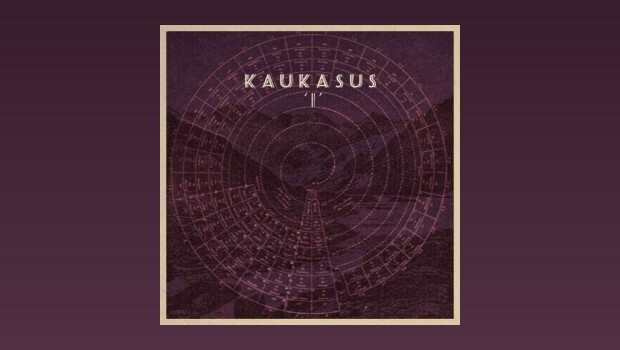 A more than decent beginning, it is followed by the slow burning Lift The Memory, a far more “trad prog” tune in the modern sense, and a full-on prog ballad to boot. More Eastern imagery is brought to the fore in the slow ambient mid section, with the introduction of the hulusi, a Chinese reed instrument that makes a sound like a cross between a clarinet and an alto flute. Following this is an excursion into art-pop, In The Stillness Of Time being a highlight, driven along by an understated but insistent bass line from Rhys, the song paints a dark picture of “circles in the sky” that “make us disappear”; all very Nordic-noir. 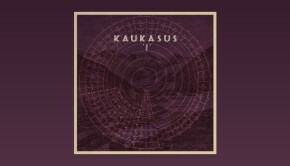 Apparently Kaukasus started life as a Krautrock style experiment, but there seems little of that influence remaining as the project has evolved into a looming Scandi-prog epic saga. There is a tale told of half-lit portent as the mists swirl, recede and reconvene over a black lake in the transporting Starlit Motion. Such is the quality of this work that each track takes the listener on a different journey, to such an extent that one can easily forget the bigger picture, which as I said before, is somewhat disparate and ill-defined. Actually, that may well be a good thing; after several listens the album is growing on me. Another, and somewhat astounding fact from the press release is that the album was written and recorded in two weeks. A quite mind-boggling thought when you consider the quality of this sonic Viking longship. The brooding Reptilian sounds like a vision of dark terrors. More of Mattias’ deft percussion leads us through a land of inner turmoil, where there be monsters. The combination of the trusty old Mellotron with modern electronica in this fashion is something us Necromonkey fans are well familiar with, as the flesh grows cold as the sun creeps below the horizon. The Witness is a contrasting slow song with Rhys in reflective mood, wondering if “maybe in time, the witness will provide the answer” and some lovely flute from Ketil, a welcome break from the troubled soundscapes of the previous number. The song melds seamlessly, courtesy of some tension building drum clatters from Mattias into the closer The Skies Give Meaning. These are Scandinavian skies we are talking about, so that meaning is rumbling and tumultuous, with the growing threat of a storm. The build up of tension from the start of this number perfectly reflects that, and then the heavens open. A crushing grinding noise is wrought from Rhys’ guitar as he shouts in the background, at first almost buried in the cacophony before slowly finding his way to the middle of the mix. Luvvly! While maybe not the most coherent musical statement you will hear this year, these three northern European maestros have conjured a Gothic compendium of an album that is never less than interesting, and one I shall no doubt return to more than once.